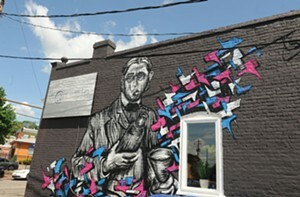 Murals on the outer walls of local businesses always help them stand out from the chains. A case in point is a new painting by the artist known as Ham on the southern side of Sample in the Fan. The tradition started years ago at Sidewalk and Kuba Kuba, among others, and has taken off in a big, bold way with several new additions this year.